Sunday is my day off. That means no household chores for me and I get to hang out with my family the whole day ; ) Two Sundays ago, we visited the newest restaurant along Sct. 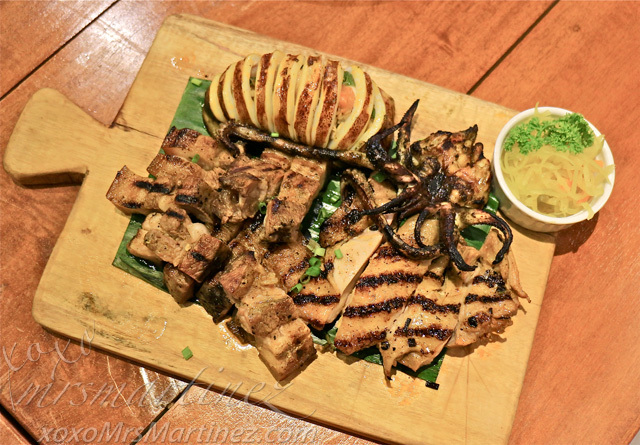 Rallos in Quezon City- Alab by Chef Tatung. 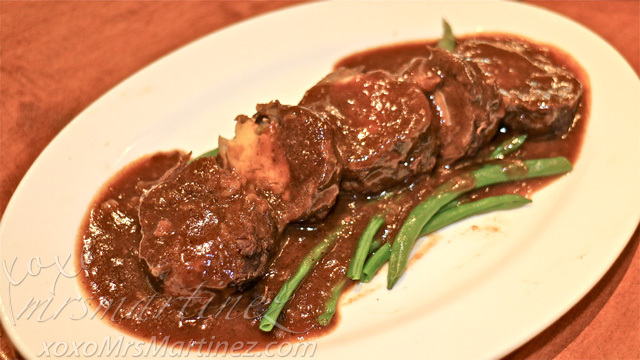 Alab is one of the few Filipino restaurants that offers Beef Morcon on its menu. I could not resist not ordering it. 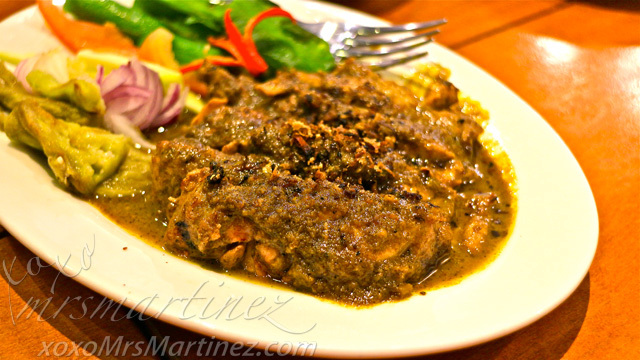 For the same price, Mateo's version of Beef Morcon is better than Alab's. 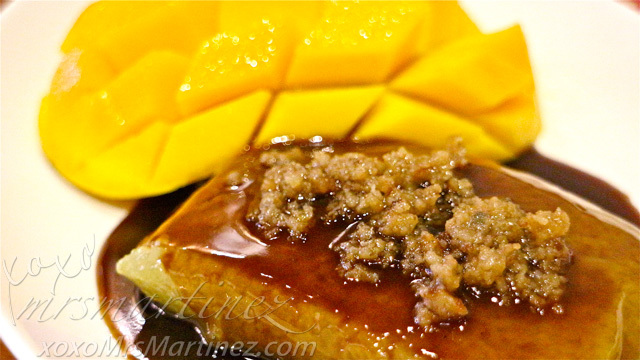 The mangoes in Mangga't Bagoong were cut into chunks, I was unable to eat it because it was too sour to taste. It would have been better if these were cut into smaller cubes. 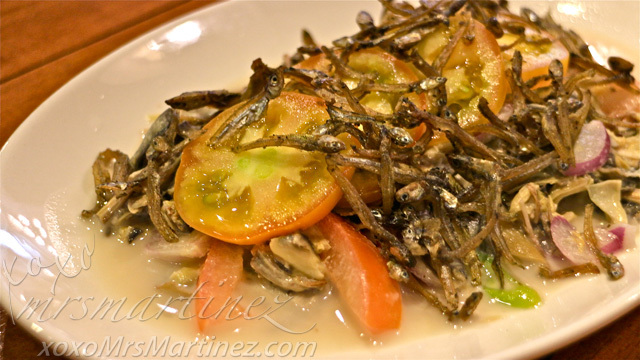 Another salad that we ordered was Puso ng Saging. I find this order malansa but DH was able to finish this plateful of dilis. 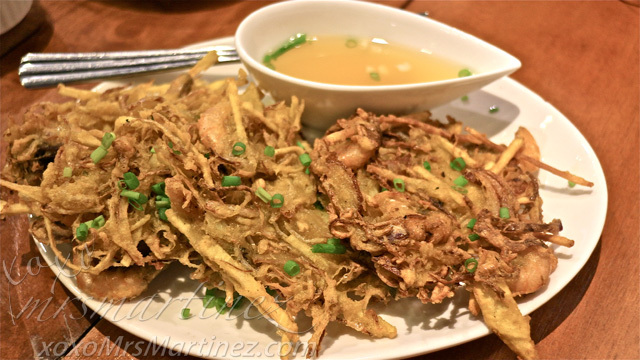 I love Alab's version of Okoy. It was crunchy and oh, so tasty, I don't even have to dip it in suka. The only saving grace of Alab is its selection of desserts. 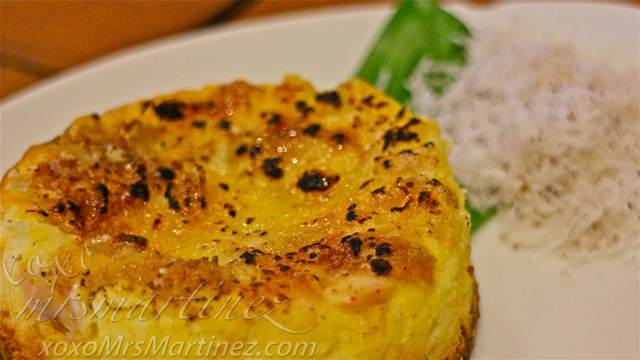 We both love NY Cubao Bibingka Cheese Cake and Suman sa Lihiya. Both are so good, one bite is not enough! 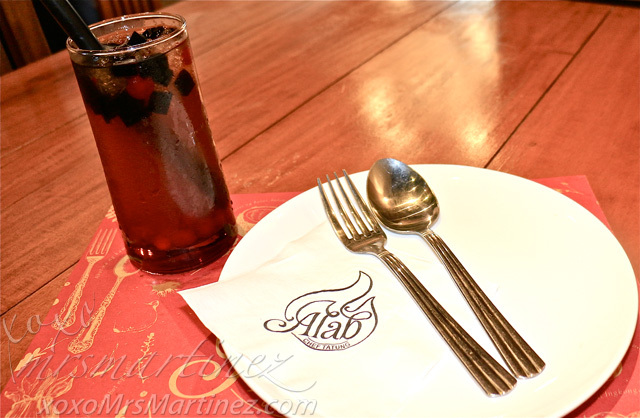 I would likely go back for Alab's desserts but not for its main dishes. It would be nice to pair these delicious kakanin with a cup of coffee. 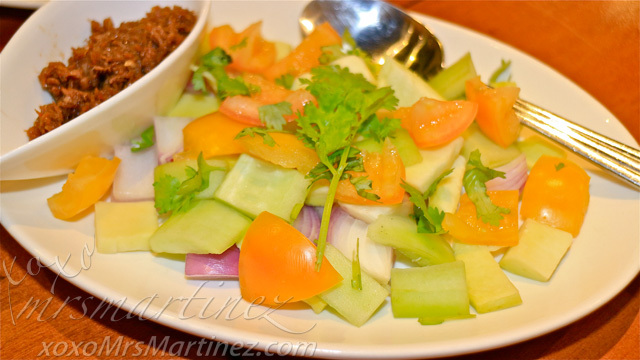 Alab by Chef Tatung is located at Scout Rallos, Tomas Morato, Quezon City 962 1176 or 0915 290 1001.